being little • bristol uk fashion & lifestyle blog. 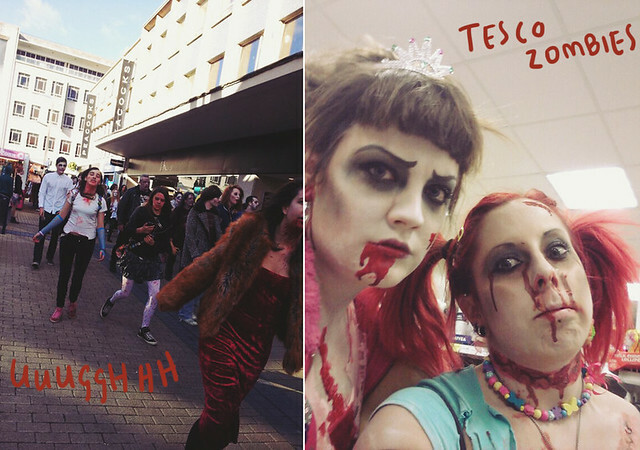 : bristol zombie walk 2012. Soooo Saturday was pretty much the most fun day EVER! We were glad to see there was not a cloud in the sky, as Charli and I wandered into town, stopping for teas, coffees and an amazing breakfast from Start The Bus on the way. 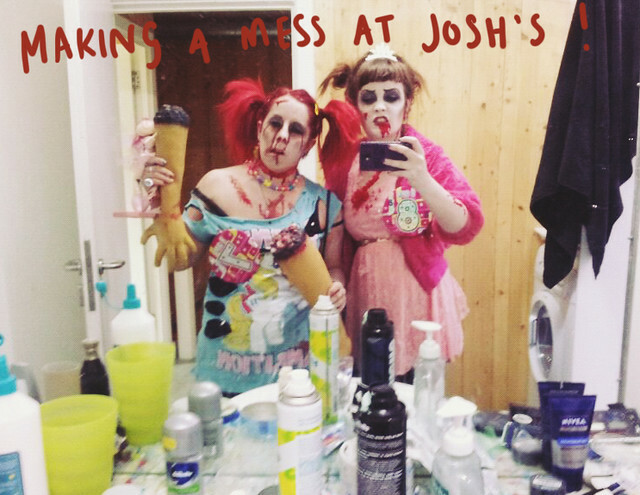 We then went up to Josh's to get ready, as his flat is close to the start of the zombie walk! 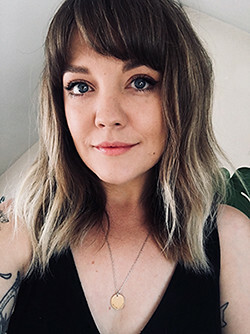 It took us a couple of weeks to actually decide on what kind of zombies we were going to be, and we settled on children who had been at their birthday parties when the zombies attacked. So I had a pink party dress and princess tiara, and Charli had a my little pony tshirt and pigtails! 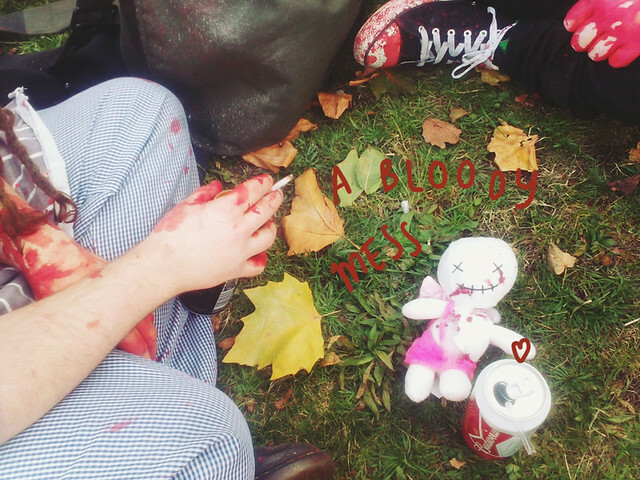 We made a RIGHT MESS and we ended up being a little late, but it didn't take us long to find the massive crowd of moaning undead. It was such fun shuffling along and pretending to be someone else. Everyone loved it too, there were so many people taking photos. When we got to the end point, there was a chance to wander around and look at everyone's amazing costumes. 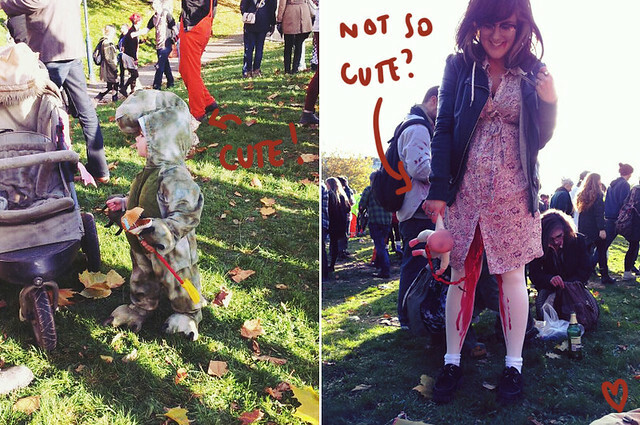 The people who really put a lot of effort in, or were very un-pc/currently in the media (I'm looking at you, dead baby Ella and Jimmy Saviles & Gary Glitter) were my favourite, because they got the biggest reaction. 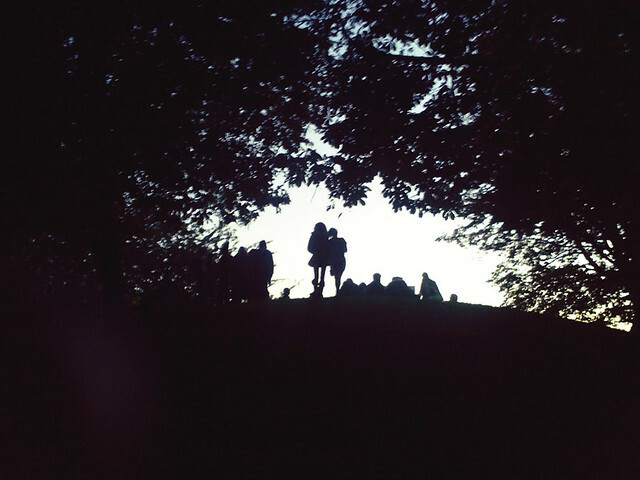 We got a few drinks and just sat in the park in the sunshine for a while, as a few bands and DJs played. 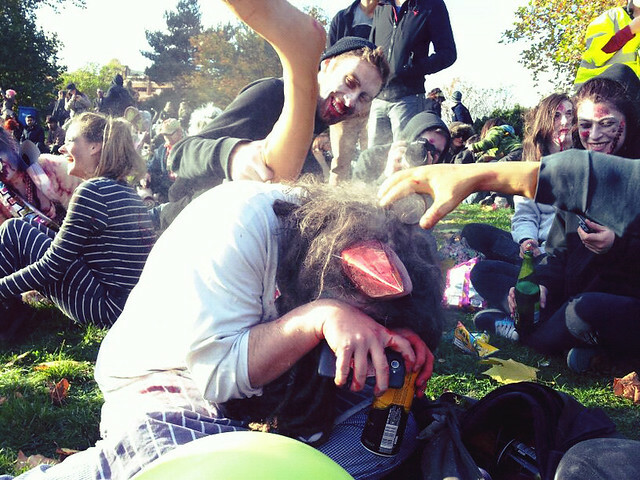 There was such a brilliant atmosphere, everyone was so happy to be dead. 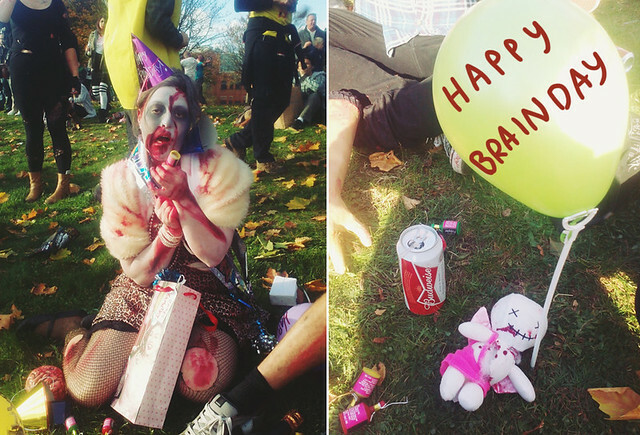 We found another zombie who was having a birthday/brainday, and she very kindly gave us party hats, party poppers, a balloon and a banner! Spreading the love/disease. 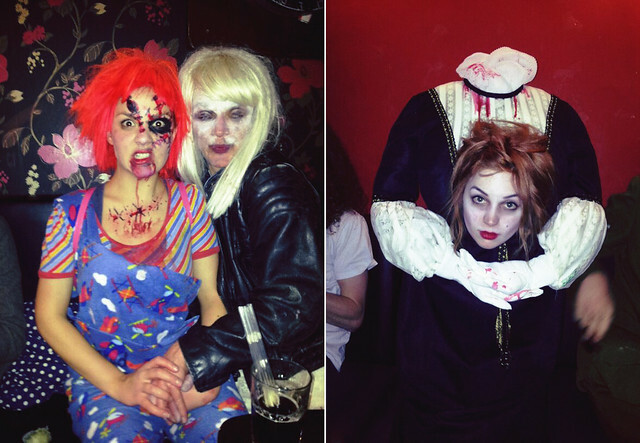 Then we popped to The Crown where it was hard to tell if some people were dressed up or just goths, and then Charli, Chuckie and his/her bride all went onto The Lanes where Charli's friend was DJing so we got guestlist. It was SO FUN! 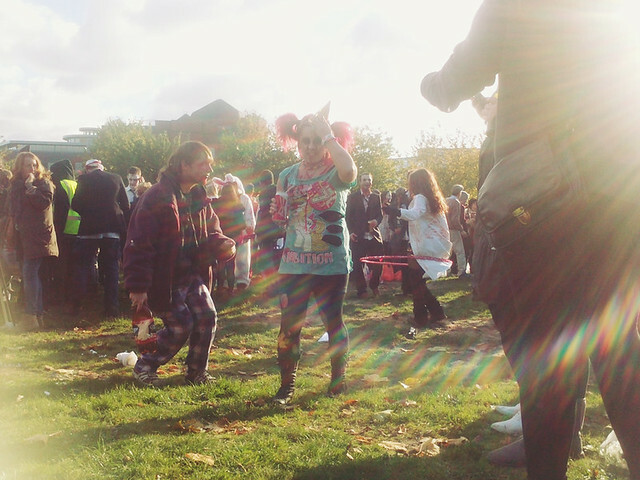 They played loads of music from when we were about 17 and we danced for ages. I actually cannot wait for next year, I'm DEFINITELY doing it again. Next time I'm wearing a costume that is warmer though, as we got bloody freezing by the end of it! Thank you to Charli also, as she took most of these photos! 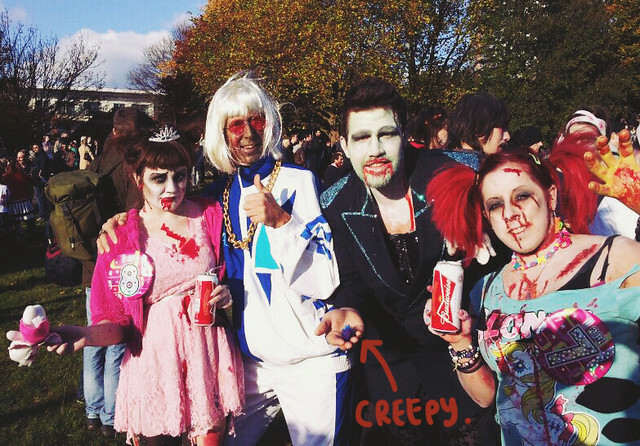 Have you ever been on a zombie walk? 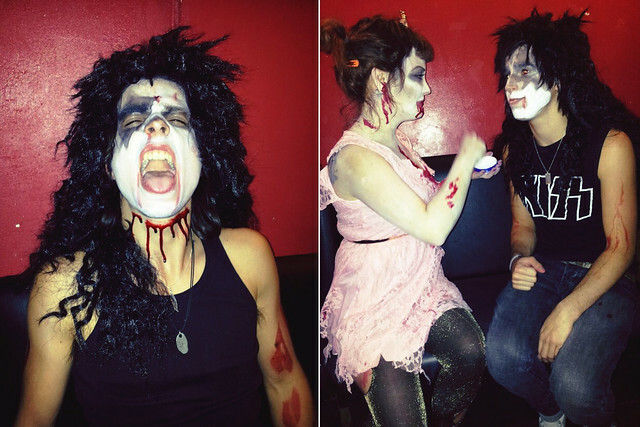 Are you doing anything fun for Halloween? You look brilliant, and this looks like SO MUCH fun! awesome! 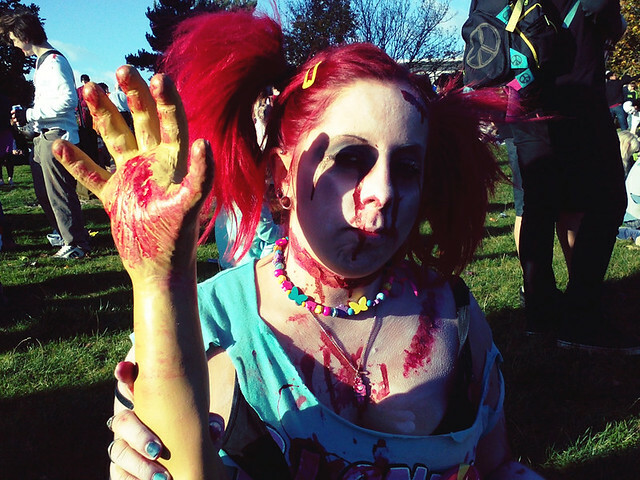 i love your costumes and how you 'choose' which type of zombie you would be! 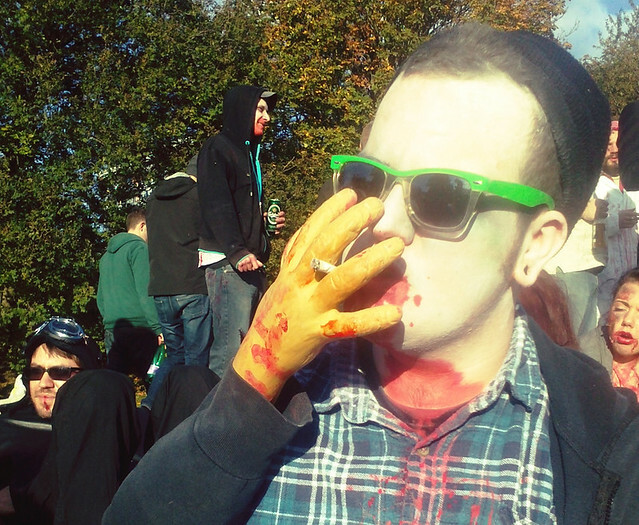 I was part of a zombie thing once at a festival, it rawked. This looks so great, bet you had a good time! Aaaah this looks wicked! 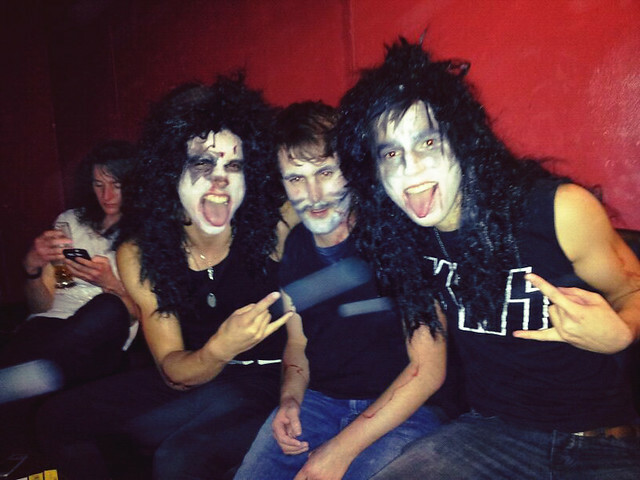 And you look amazing as a zombie haha! 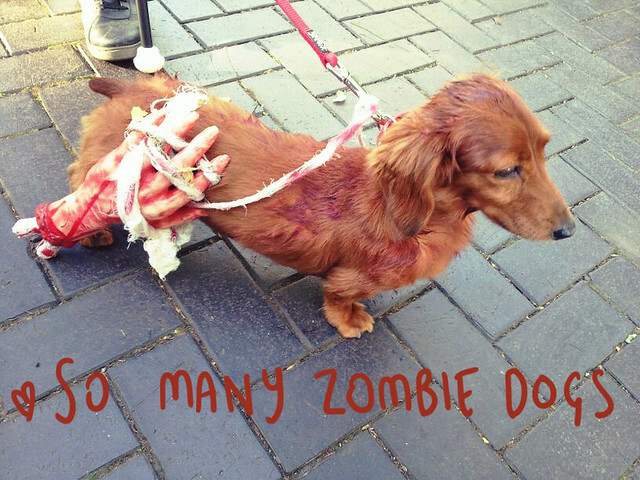 That dog looks so cut aha! You looked great! Wish my town did something like this! You look awesome! I recently bought some glittery leggings from Primark. Not sure what to wear them with though! 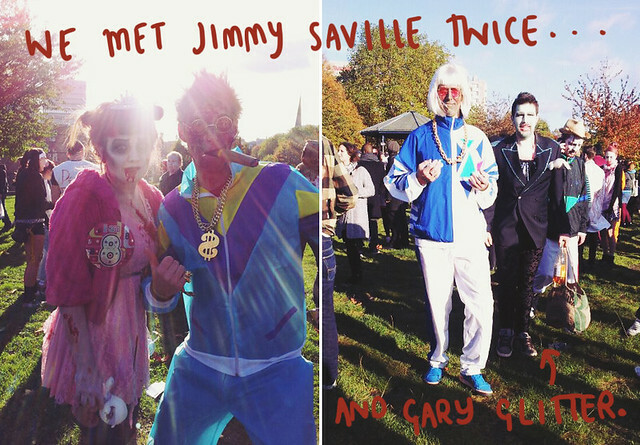 Also, I don't think it's at all right for people to dress up as Saville, even if it is a 'joke'. Just feels really wrong and far too soon when things are still coming out of the woodwork. It was aaamaaazing! 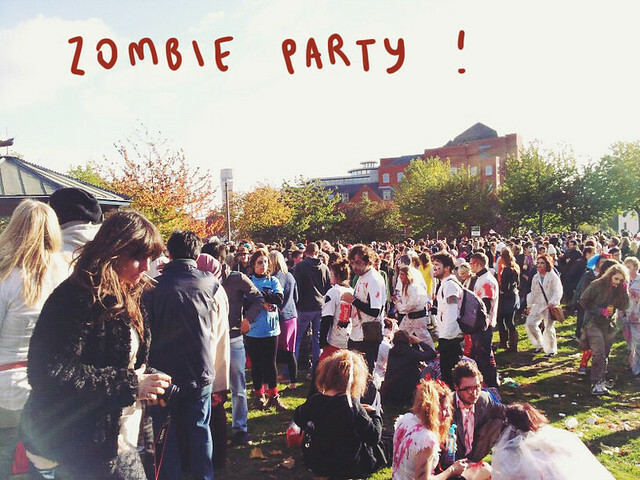 Well I didn't get ready in time to join in, but I live near castle park and walking through and seeing 1000 zombies dancing to reggae is pretty surreal. 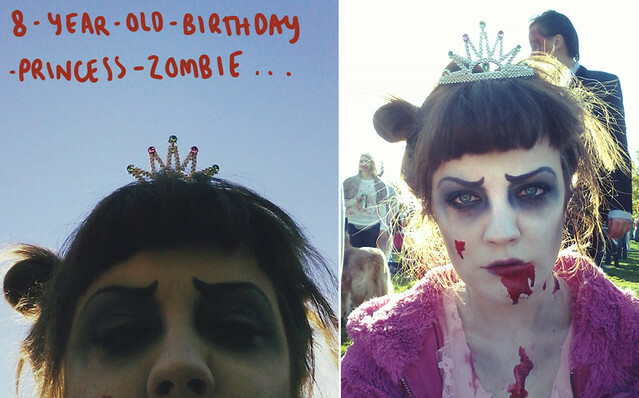 I was a zombie bride in the evening so I don't feel like I missed out too much! This looks like the most fun EVER!!!! So cool!